Providing the best possible student learning environment is a goal that we strive to achieve in collaboration with our clients. Specialised, high traffic areas such as day-care and pre-school centres, primary and secondary schools and tertiary education facilities have specific requirements that are delivered through managed processes, procedures and high attention to detail. As specialised commercial cleaners, Zippy ensures that the highest standards of hygiene and cleanliness are maintained, which is reflected through the commercial cleaning services we provide. As the first South Australian cleaning company to achieve GECA Accreditation*, Zippy are proud to be able to offer educational facilities the opportunity to improve the health of students and staff through our innovative chemical-free commercial cleaning options. By using this system, we can create a safe and healthy environment for all students and staff, even those with allergies and chemical sensitivities. Our experience in school cleaning contracts, which spans over 30 years, has enabled us to determine and understand what is really important to our clients in education and it is evidently clear that security and safety is paramount in these environments. It is a standard requirement of all Zippy staff that they hold a National Police Clearance prior to commencing work on any of our sites but furthermore, all cleaning staff employed to work on school cleaning contracts must also obtain a Working With Children Clearance as well. Should our clients require our staff to obtain or hold any other special clearance – for example Catholic Schools Clearance – we are also able to make this an employment requirement of staff employed for that site. 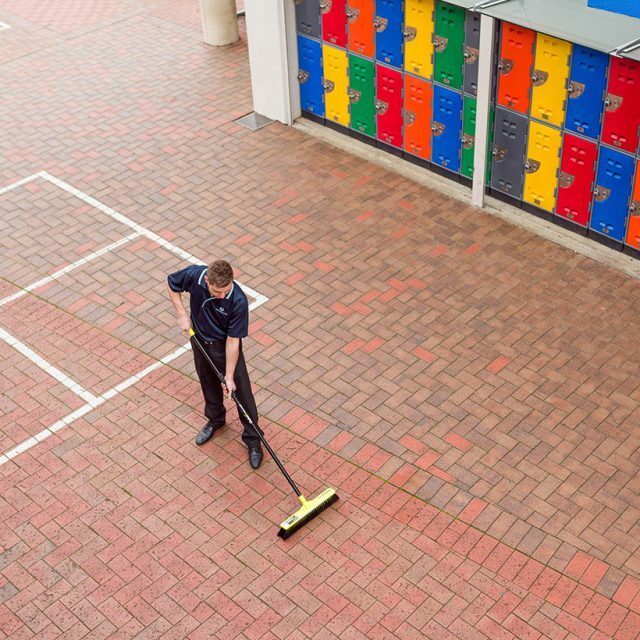 At Zippy, we understand that there may be certain restrictions around cleaning times on school cleaning contracts and therefore we are able to schedule and manage cleaning services in school holidays to ensure that students and staff are able to return to clean and hygienic facilities following their break. Our dedicated Client Services Managers are available to schedule and manage any services required during school holidays to avoid any disruption to staff and students.